Welcome to 18 Waterfront on Washington’s Landing. 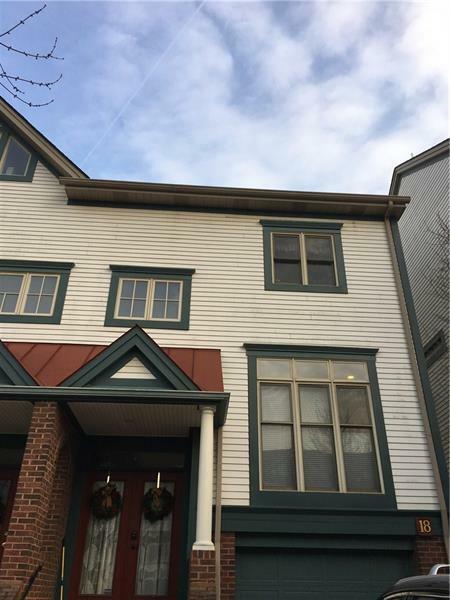 This pristine move-in ready townhouse is situated on the Allegheny River with panoramic views from all floors. Open floor plan with living room & dining room inc gas log fireplace. Kitchen with stainless steel appliances, granite, island. Refinished hardwood floors. Master ensuite with two walk-in closets. Three bedrooms. Two full baths inc soaking tub. Third floor serves as bedroom, entertainment center, office suite. Enjoy all Washington’s Landing has to offer. Walking neighborhood with sidewalks, city lights. Walking & bicycling trails, full-serve marina, Three Rivers Rowing Association, city tennis courts onsite. Low maintenance fees inc greenskeeping,snow removal, exterior inc roof. Minutes to Downtown Pittsburgh & Cultural District. Close to Universities, medical centers, hospitals. City living on the water!